Juris Doctor from Hofstra University School of law in 1982. Master of Science degree in Biology from New York University. Bachelor’s degree in Marine and Environmental Science from Adelphi University. James Rigano has concentrated his practice exclusively in environmental law for more than two decades. Mr. Rigano has served in the Enforcement Division of the United States Environmental Protection Agency, where he was involved in a variety of water pollution control programs and was environmental counsel to the New York Power Authority. He has extensive experience in subsurface contamination and solid waste issues and has represented clients in numerous matters before environmental regulatory agencies. He has negotiated the environmental issues in numerous transactions and has handled a broad range of cases involving wetlands, open space, and air pollution issues, and has litigated cost recovery actions. Mr. Rigano has had extensive experience with subsurface soil gas issues. Mr. Rigano has extensive experience with environmental issues in brownfield development projects. He has negotiated technical and environmental issues and has addressed a host of complex regulatory concerns in the redevelopment of contaminated property. Mr. Rigano was environmental counsel for the New York Power Authority where he was involved in the permitting and environmental issues associated with hydroelectric facilities and major transmission lines. Prior to practicing law, Mr. Rigano was employed for five years as an environmental scientist conducting research on the environmental effects of electric power generation. Mr. Rigano has authored more than 40 articles and has lectured extensively on a variety of environmental insurance coverage topics. He has also chaired more than 20 environmental conferences. He is actively involved in civic, business and bar association organizations. 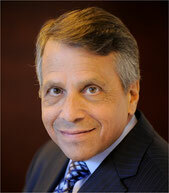 Long Island Business News has featured him in their “Who’s Who in the Law” edition. Mr. Rigano is the chair of the Environmental and Energy Task Force for Action Long Island and co-chairs the Continuing Legal Education Committee of the Environmental Section of the New York State Bar Association. He serves on the Board of the Nassau County Boy Scouts, the Association for a Better Long Island, and St. Paul’s Greek Orthodox Church.